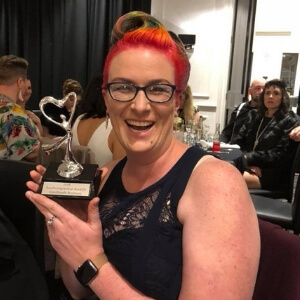 I went to AusMumpreneur to win an award. Well, that’s a little bit of a fib. I went on the off chance, the one in a (couple hundred with change) shot, the slightest possibility I’d win an award. I did that terrible thing you should never do when you find out you’re a finalist in business awards – I Googled the competition. There were 2 doctors in my category. Two. Just sayin’. I stopped Googling quick smart after starting with them. I expected the excellent learning opportunities, the access to hundreds of super smart women, the fancy gala dinner, the selfie opps. 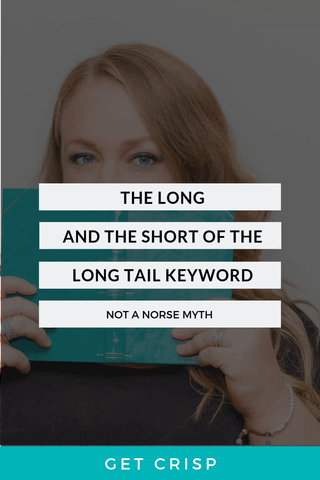 What I didn’t expect was to have my concept of the label ‘Mumpreneur’ challenged. And not just challenged, but full frontal, mouthguard in, square-up, ladyface contested. 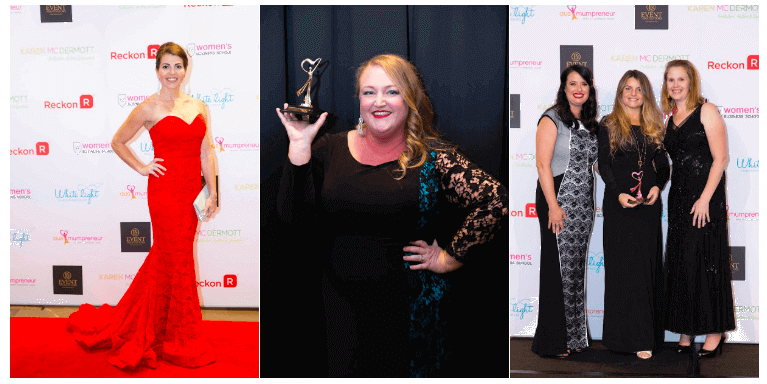 The AusMumpreneur Awards for 2018 threw down the gauntlet in the face of my questioning whether I fit. Cassie was one of the first women I physically met at the event who I didn’t really know from online. She filled up the enormous room with her boundless energy – much of it nervous – she was first up for judging at the fresh hour of 9 am. Cassie is impressive. She just is. A quick-to-smile, ready to work, full of opinions ideas-woman, I had the pleasure of Cassie at my table for the 2-day conference and I learned some things about passion projects (and you all know I don’t use that word lightly) I’ll never forget. Because anyone who has had anything to do with the complex maze of disability support and government systems will know how stressful it can be. Through her business, Cassie helps lighten the load with innovative online and community-based programs providing education and support for families whose lives are affected by chronic illness, disability, and special needs. 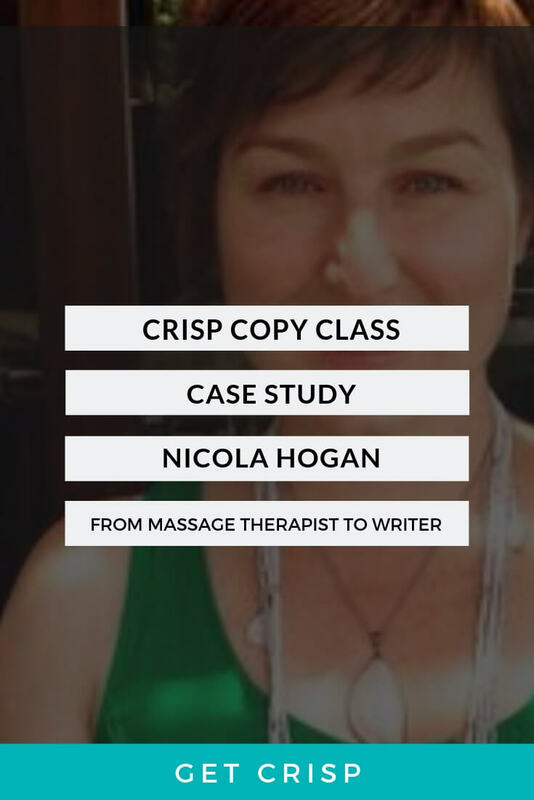 She is also a mum of two teenage boys and has been a carer for over 16 years for her eldest son who lives with Cystic Fibrosis, Autism and an Acquired Brain Injury. “I almost didn’t accept my nomination. While I was honoured to have been nominated, huge parts of me felt utterly unworthy. Unsure if I would fit, I thought what the heck and typed my application into the wee hours of the morning while sitting in my son’s hospital room. Little did I know that writing from my heart (and running a business from the heart) would earn me a place as a finalist in the SA Business Excellence Category. After day one, having the opportunity to pitch and meet so many incredible, inspiring people, I think it might have been the first time that I realised the impact of what I was doing and how I was showing up in the world. Many people recognised me, which was surprising enough, but the most surprising thing was the reactions and support that I got from every person I spoke to. The more I shared from the heart, the stronger my message and the easier the words came. My confidence has soared and belief in my mission and purpose have never been stronger. You can find more about Hayley and the team at Code Camp on their website or Facebook. 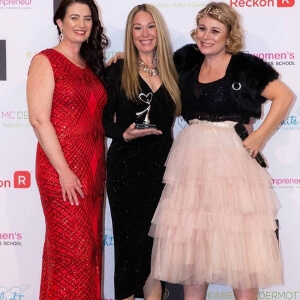 When Hayley Markham accepted the AusMumpreneur of the Year Award for 2018, she warned Peace Mitchell and Katy Garner – AusMumpreneur owners – they were in for a wild year. Her acceptance speech was the kind of proud and humbling story that makes you value the education our children have access to and made me text my daughter to just double check she wouldn’t like to learn to code. Damnit, writing and History still wins. 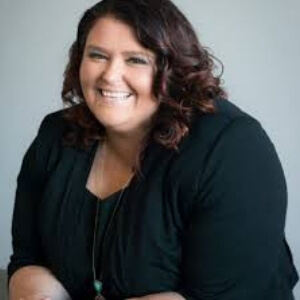 Hayley Markham won AusMumpreneur of the Year as one of the co-founders of Code Camp which teaches kids from 5 and up to code. Since Code Camp started in late 2013, they’ve taught over 35,000 Aussie kids to design and code iPhone apps, online games, digital worlds and websites. Their aim is to reach as many kids as possible. Hayley and her team believe being able to code will set kids up for life – it doesn’t matter what industry they go into, knowing the ideas of how to code will help. 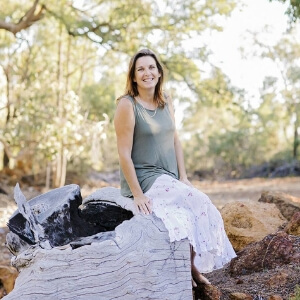 You can find Nicole and her businesses at Nicole Doherty Mentoring, Wyngate Care, and Empowered Liveability. 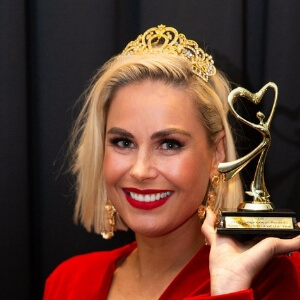 Having lived through sexual abuse, kidnapping, and the mental health and substance misuse issues that came out of those trials, Nicole Doherty has made it her life’s purpose to help others. And she has definitely thrown herself into that work. 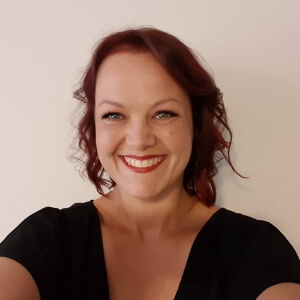 She works as a counsellor, case manager and trainer and assessor helping in the areas of people with disabilities, aged care, mental health, drug/alcohol misuse, youth/families, and homelessness. 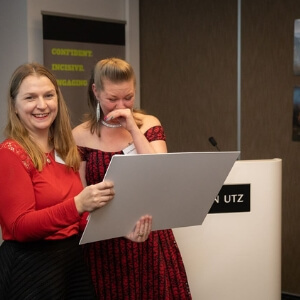 This incredible mum, wife, author, and heavy metal afficianado has created an enterprise so young people can stop living in unsuitable homes and is revolutionising disability housing. Find Nat and her delectable products at Verissima Natural Skincare on her website and Facebook. Nat Wright believes we have all we need in nature, but it’s a matter of harnessing and knowing what to do with what we have right on our doorstep. Without intending to, she found herself as the owner and chief creator at Verissima Natural Skincare. It’s the perfect way for her to share her love of natural solutions for both our skin and our wellbeing. Verissima is natural, toxin and synthetic free (and, the icing on the cake, the products smell amazing). Nat uses Verissima as a platform for education, teaching Mums how to read the back of bottles, educating families about what’s really in their products. She’s got her sights set on the beauty industry and they’d better watch out. You can often find Nat enjoying time with her two kids at the family’s holiday getaway (if you know where to look). You can find Anu and Bidiliia (take your credit card) on her website and Facebook. Is there anything better than gorgeous jewellery? Yes, gorgeous and ethically sourced. 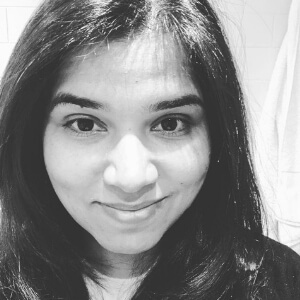 Anuradha is the owner and creator of Bidiliia – a company which sources ethical jewellery that’s handmade with integrity in small towns, villages, and relatively unknown islands around the world. Anu has worked with designers, fashion buying houses, and export houses during her career – even with some of the big names like Giorgio Armani, Kenneth Cole, Gap, Banana Republic, and Leona Edmiston (in fact, she was wearing Leona when I first met her). She’s the kind of woman who makes you happy just being around her. Quick, dry, edgy, but kind, I often found myself outside in the foyer having a wicked giggle with Anu or complaining at her she didn’t bring her jewellery with her so I could buy it all. 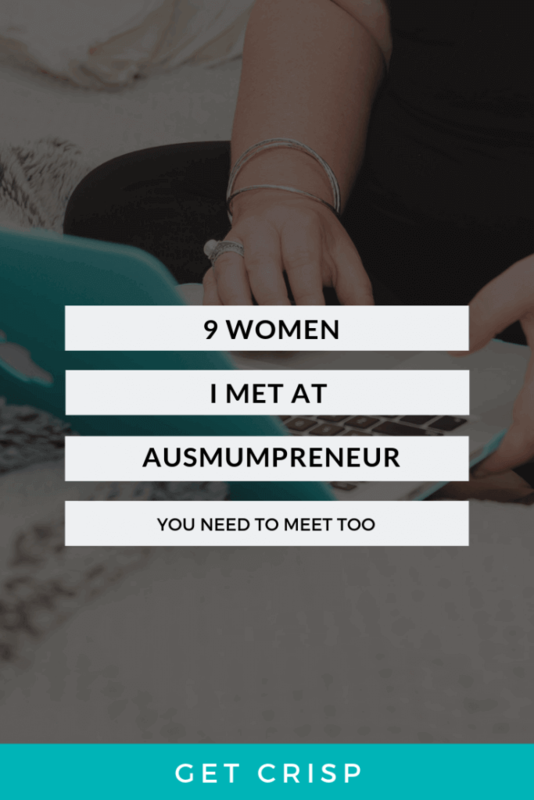 (There’s no problem, I’ve since remedied that…) She was at AusMumpreneur as a Multicultural Business Finalist. Anu says she’s inspired by her 4-year-old daughter to be a better human every day but, for now, I kind of like her as she is. Find out all about the So Brave project on their website and Facebook. And buy a calendar. Or two. At only 32 and with 2 young children, Rachelle Panitz’s world was rocked with a diagnosis of breast cancer. With no family history, it was naturally a complete shock to her and she found a definite gap in the support services available for women her age. It gave her the drive to make sure other young women were #breastaware and vigilant. In 2015 she founded So Brave – Australia’s Young Women’s Breast Cancer Charity. With her team, Rachelle uses her So Brave platform to raise awareness and funds for breast cancer research. Since 2015, they’ve given the opportunity of a transformation bodypaint and photoshoot experience to 36 young breast cancer survivors across Australia as So Brave Model Ambassadors. Rachelle was one of the women in the room I really wanted to meet before I arrived. She was there as a finalist for the Making a Difference Award (and took home Gold). I’d been following So Brave all year and wanted to simply chat to the indomitable woman who made this huge project happen. I hoped I wouldn’t behave like a fangirl. I planned to keep it together. I needn’t have worried. Rachelle sidled up to me during a break and introduced herself – she’d been wanting to meet me too. This carefully spoken, intelligent woman took something horrific and turned it into ongoing projects and support that continue to better the lives of young women all around Australia. I plan to be so in Rachelle’s way she has no choice but to work with me. Stay tuned. You can read about Safe Counselling Australia on their website here. I met Candise as we lined up to have our WA Business Excellence Award photo taken, she’d just won Silver. We immediately started chatting about child protection in WA; I have experience both writing copy for child protection agencies and as a foster mother. The professional photographer was kind enough to give us a moment before she organised us into the right spot. My trophy was back to front. Typical. Candise has 10 years’ experience as a Counsellor and Psychotherapist counselling couples, families, individuals and children. In January 2018, after seeing the devastating effect of child sexual abuse on both children and their parents, she decided to work in the area of prevention as well as counselling. The result was Safe Counselling Australia. Candise has developed training programs on Body Awareness and Body Ownership (Protective Behaviours), cybersafety and trauma-informed Practices for schools, day-cares and organisations. She gives families and organizations the skills to help protect their children – by giving children the tools to use their voice to know how to protect themselves. Find Perth Makers Market in WA (fly over if you have to) at Heathcote Cultural Centre and for a short time, Yagan Square. Check out dates at Perth Makers Market website and Facebook. Find Erin on her website. Erin Madeley is the owner and organiser of Perth Makers Market – you can spot her around Perth with her trademark rainbow hair and an ever-changing array of handmade earrings. While pregnant with her first child, she became involved in crafting – particularly making sock toys! She opened an Etsy store and started selling her creations around the markets. Taking that experience as a stallholder, she came up with the idea of a Perth market where everything was strictly handmade. Her first markets were held in Feb 2016 and now see an average of 4500 people come to visit around 170 stalls each market. Perth Makers Market truly is a singular experience in WA and deserves every celebration the exponential growth of this brand is experiencing. Erin’s ‘strictly handmade’ rule has meant an event where quality is queen – there’s really no other event like it this side of the desert – and she’s since branched out into workshops and consulting for handmade brands. Erin flew across Australia to compete as a finalist in the Handmade category, which had some pretty stiff competition. She took home Silver. You can download all the great stuff from Blissed Out Mums on Facebook and on the website. Heather Lindsay is the beautiful, glowing woman in the crazy photo Erin took (yep, we had a great gala dinner table!) with her arms outstretched celebrating before it’s even sunk in I needed to get up and go collect a Gold award. And that photo alone tells you all kinds of things about her personality, her business, and her capacity to bring a glitteringly positive attitude to everything she does. Heather is a Parenting Coach and single mum of 3. Just hearing her talk about her children makes you want to be a better parent. 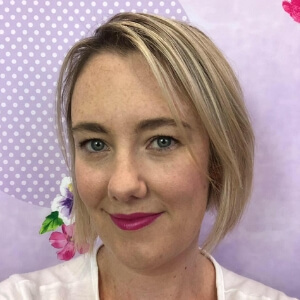 So it makes sense she launched Blissed Out Mums, a parenting support service, to help Mums practice positive parenting strategies, be calmer, and thrive on their journey through Motherhood. 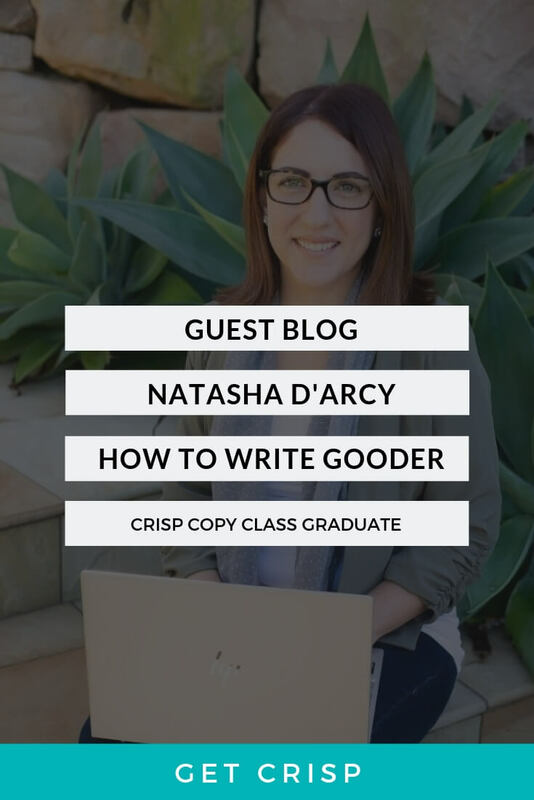 Heather was competing in the Digital Innovation category as a finalist as you can access her, and her classes and downloads, from anywhere around the world. 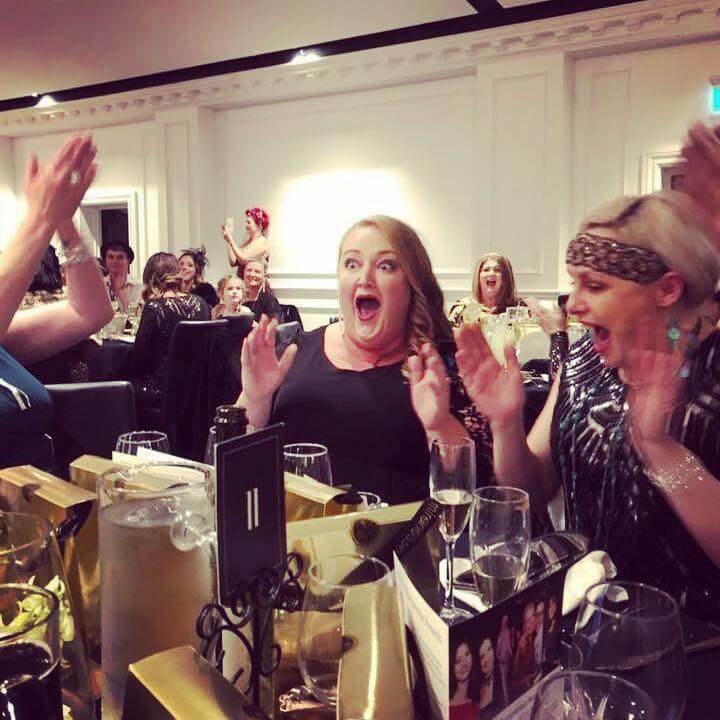 When you consider this group of women is the tiniest sliver of talent that was in the Ausmumpreneur Awards and Conference room for those two days, it’s a little mindblowing. And while I had a hundred other incredible connections – meeting my long-time feminist crush, Angela Gallo, being judged by WA author and publishing queen, Karen Mc Dermott, realising I’m not the dorkiest person in the room when chatting to Kate Proud or the biggest oversharer when watching Jenny Wynter sing – the best bit, as always, was coming back to sunny Perth and realising I’m in the best spot in the world. Both to raise a family and run an internationally successful business. Professional photos in this blog are by Jam On Your Collar. Photos of me shocked and surprised by Erin Madeley. Headshots supplied by those included. All terrible selfies are mine.